Dynamism, practicality, and industry-leading innovation define the new Toyota Prius+, available today from Yeomans Toyota in Brighton, Eastbourne, and Worthing. Big on space and delivering hybrid performance that is clean, economical, and which doesn’t compromise on enjoyment, this seven-seat model is perfect for families looking to enhance their daily commutes with silent, smooth motoring. An evolution of the styling featured in the Toyota Prius, the Prius+ embraces sleek aerodynamics, an elegant contoured roof, and a completely new rear designed to accommodate greater volumes of luggage. The result is a vehicle that has a distinctive silhouette but which has been streamlined for the most efficient performance. The interior is similarly impressive; not only are there countless seating possibilities and exceptional load capacities available, but the cabin has been tailored for comfort. With lumbar support for the driver, Akita black fabric seat trim, a leather steering wheel, and automatic air conditioning, each and every drive is as relaxing as can be. With a 4.2-inch TFT display detailing such essential information as Energy Monitor and Eco Judge – which helps you maximise driving efficiency – you can optimise your drive fully. The Toyota TouchÒ 2 multimedia system, meanwhile, offers a 6.1-inch touchscreen display that presents vehicle information, a reverse camera display, and an advanced audio system featuring Bluetooth and USB connectivity. You can even upgrade to Toyota TouchÒ 2 with Go for enhanced satellite navigation. When it comes to purchasing a hybrid vehicle, performance is everything. With the new Toyota Prius+, you are assured only the very best. The 1.8-litre hybrid automatic engine delivers a 0-62mph sprint of 11.3 seconds and, with the manufacturer having over 40 years’ experience in hybrid technology, the latest Prius+ is as eco-friendly as they come too. Returning up to 61.4mpg while emitting just 106g/km of CO2, it has its sights set on a greener drive. To be the ideal family car, it’s important that safety equipment is of the highest standard. With the Toyota Safety Sense system of radar and camera sensors helping keep you safe out on the road, you can enjoy the peace of mind that you and your family are fully protected.  Included as standard are Road Sign Assist, Pre-Collision System, Lane Departure Alert, and more. Find out more by scheduling a test drive from Yeomans Toyota soon. Make an enquiry with your nearest dealership to book with the help of our knowledgeable team. Model shown is MY19 Prius+ Icon 5 door 1.8 VVT-i Auto at £27,835. Additional charges may apply on selected paint colours and finishes. Prices correct at time of being published. 5 year/100,000 mile manufacturer warranty. Terms and conditions apply. *4.9% APR Representative only available on new retail orders of Prius+ between 1st April 2019 and 30th June 2019 and registered and financed through Toyota Financial Services by 30th September 2019 on a 42 month AccessToyota (PCP) plan with 0%-35% deposit. Toyota Financial Services is a trading name of Toyota Financial Services (UK) PLC; registered office Great Burgh, Burgh Heath, Epsom, Surrey, KT18 5UZ. Authorised and regulated by the Financial Conduct Authority. Indemnities may be required. Finance subject to status to over 18s. Other finance offers are available but cannot be used in conjunction with this offer. Offer may be varied or withdrawn at any time. 8,000 miles per annum, excess miles over contracted charged at 9p per mile. Toyota Centres are independent of Toyota Financial Services. Participating Toyota Centres. Affordable finance through AccessToyota (PCP). Terms and conditions apply.